Thank you for joining us on the adventure of a lifetime! Pack your bags! Get those passports ready! We are about to embark on a trip Around the World! You should have arrived from France, also known as Shawnee‘s blog. 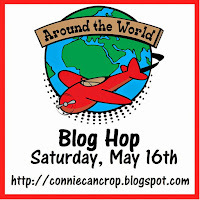 http:conniecancrop.blogspot.com is the first stop on the Around the World blog hop. 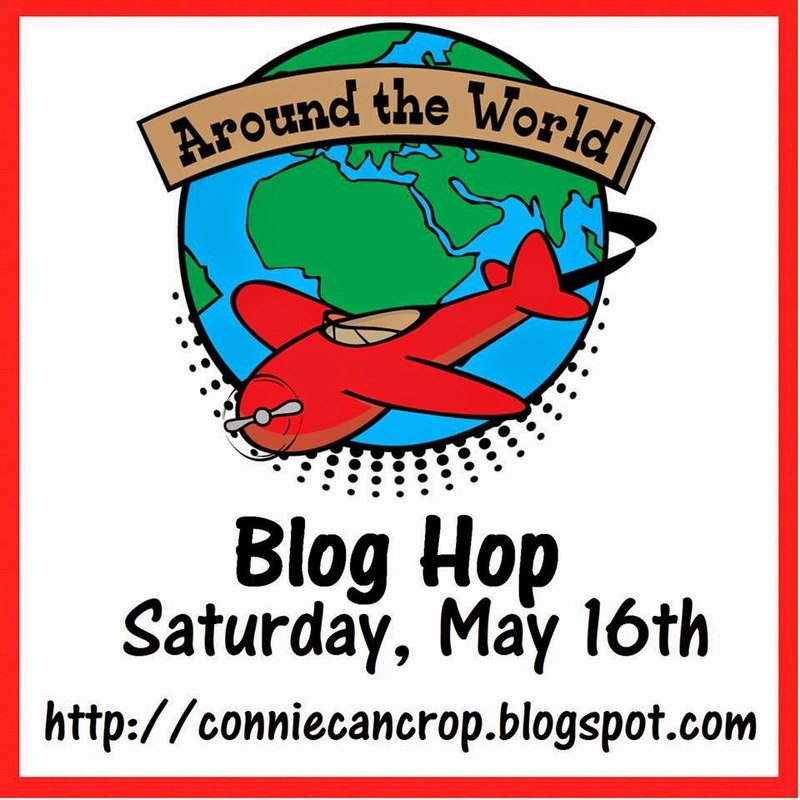 This is a one day blog hop and we appreciate your leaving a comment for all of these talented crafters who are here sharing their ideas and creations. We hope that we can inspire you with culture and creations from around the globe. 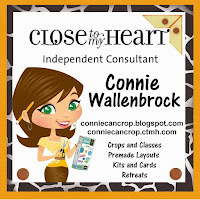 We have a fantastic sponsor this month, ConnieCanCrop! She will be giving one lucky winner a $10 gift certificate to spend in one of her online stores! What do you need to do to win? Easy… become a follower of each of the fabulous blogs in this hop and leave each of them a comment letting them know what you like best about their projects. Welcome to Germany…Munich to be exact. This is a photo of hubby picking up our rental car at the Munich airport…on our honeymoon! This was the first time we had ever been away together. I created this using an old Creative Scrapper sketch. 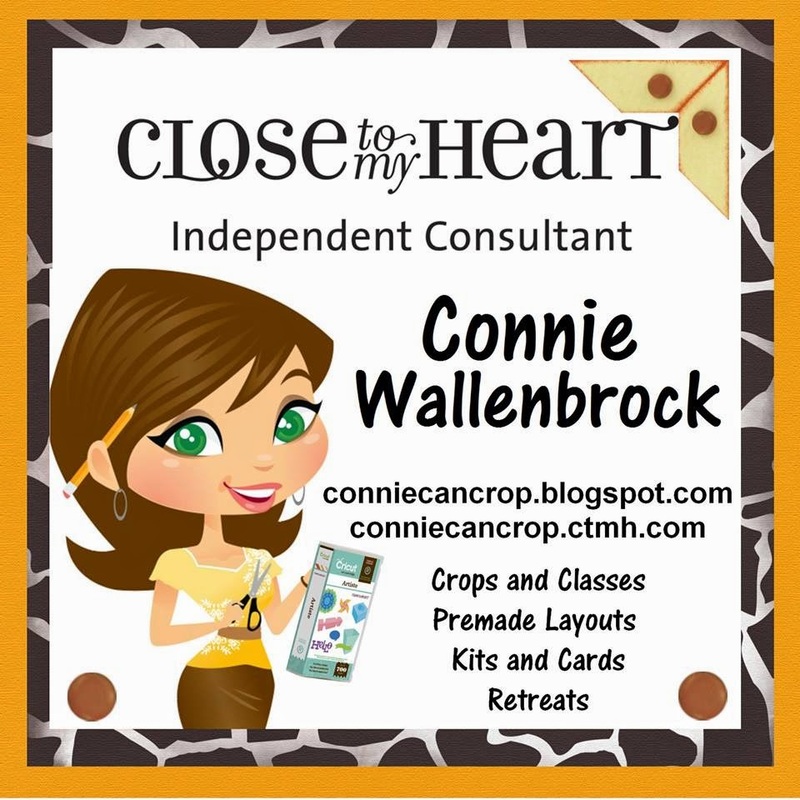 The background paper is from Close To My heart while the layers are from the Pink Paislee Pen Pals collection. All the embellsihements, except for the thickers, came from my May 2015 Freckled Fawn kit called Wanderlust. This is only my second kit from them, but I am loving everything in it!. Well, that is the end of your world tour, but I hope before you go you’ll follow me here using Bloglovin or Google. I’d also really love if you followed my Facebook page called Lynn’s Everyday Ideas. 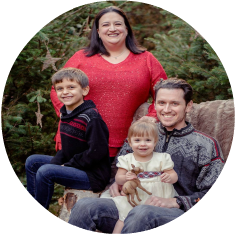 I share my items on there in addition to tips, videos and other odds and ends. Thanks for joining us!! 15. Lyne (Germany) – http://lynnseverydayideas.blogspot.com <—— You are here. I bet you had a lot of fun – very nice LO – TFS! I am so jealous! I have always wanted to go to Germany! My mom's side of the family is from there. Your layout is so cute! What a great layout!! Thank you for sharing your project with us! I have always wanted to go to Germany! Have a blessed weekend!! Some first trip. Love the open space on the layout. Great place for a honeymoon. Beautiful country! Love your layout! Thanks for sharing. 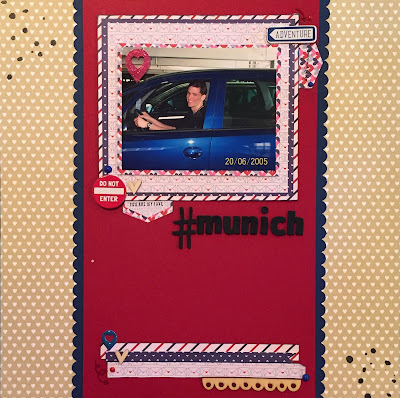 cool scrapbook page! It’s nice participating in this hop with you! Cute layout! 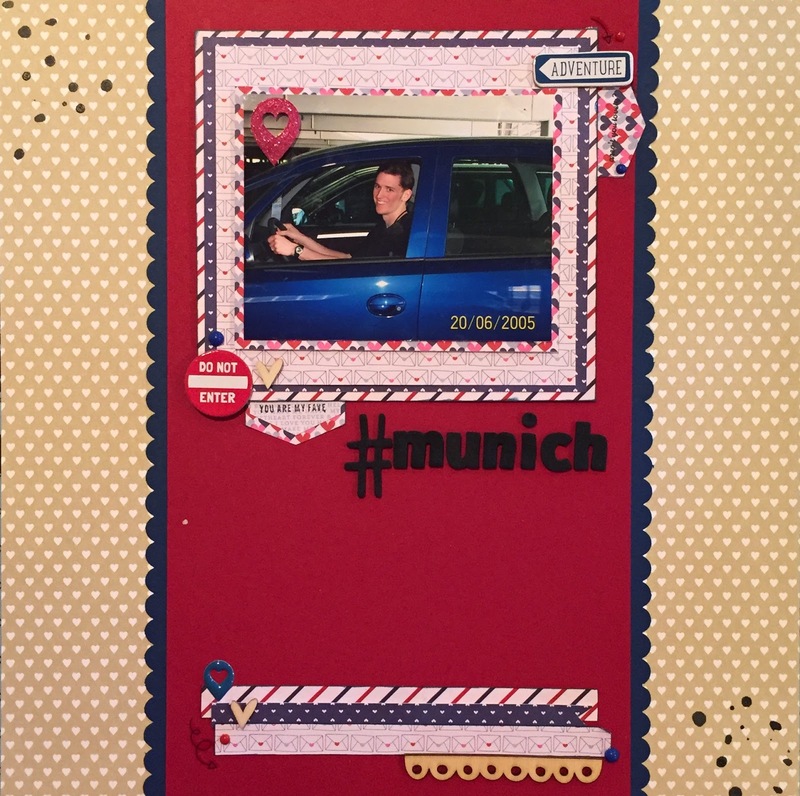 LOVE Munich! Enjoyed being in the hop with you! awesome! I love every detail, the papers and the placement! I want to see more pics of Germany!! i love how clean and simple your L/O is! fabulous!